Deals for the holiday season are starting to pop all over the place! Here's one from Sony! 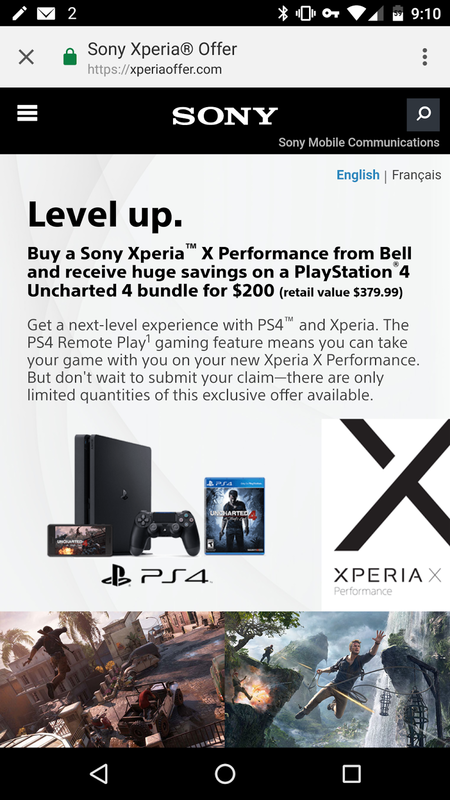 From now until December 31, 2016, when you buy a Xperia X Performance you can receive a PlayStation®4 Uncharted 4 bundle for $200 (retail value $379.99).